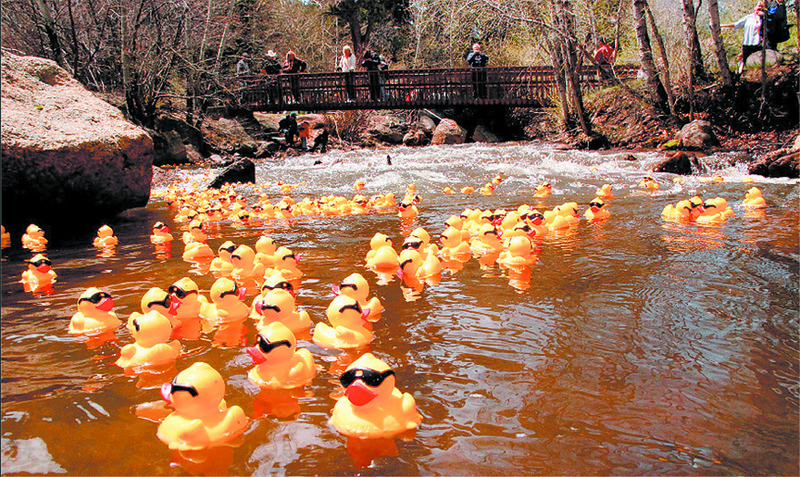 Nothing says spring in the mountains like the Estes Park Duck Race, an event that welcomes visitors from across the county to cheer 6,000 rubber ducks as they float down the Fall River to the finish line. The annual Noon Rotary Club Duck Race is more than a spring festival, as it raises money for 61 Estes Valley charities and groups. This year’s theme is the 100th anniversary of Rocky Mountain National Park. For a $20 donation, participants “adopt” a duck, which is assigned a number in the race database. Thousands of adopted yellow rubber ducks then are dropped into the Fall River at 1 p.m. on May 2, near Nicky’s Steakhouse, 1350 Fall River Rd. Live music, family activities and sales of duck-themed items begin at noon. Once the race begins, ducks “paddle” about 2.5 miles and cross the finish line near Riverside Park in downtown Estes Park. Volunteers scoop up the ducks as they finish the race, and award prizes to the fastest swimmers. First prize is a seven-night cruise to the Caribbean or Alaska with a balcony cabin or seven nights in Hawaii in an ocean-view room. Second prize is a four-night stay in Riviera Maya, Mexico, at an all-inclusive five-star resort or four-nights at Walt Disney World in standard resort accommodations with passes. 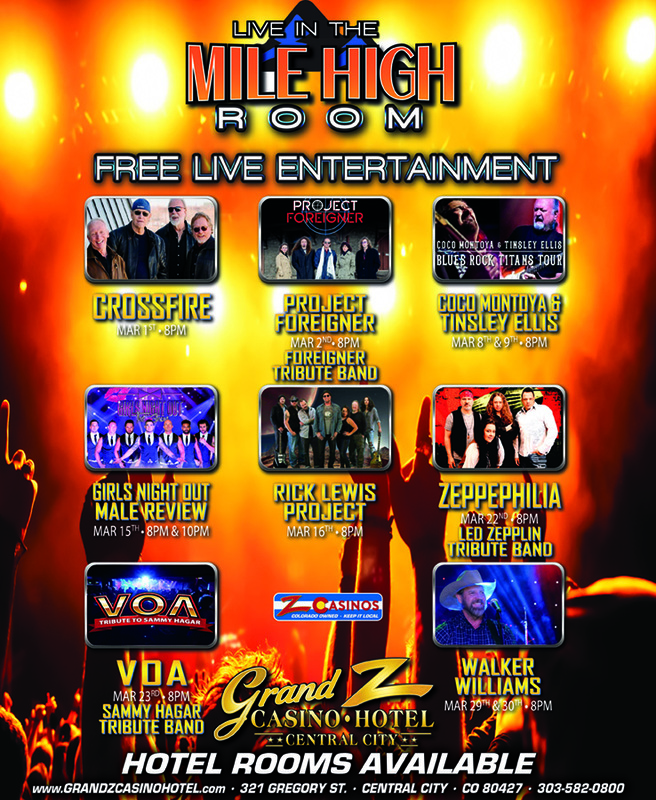 Third prize is a three-night stay in San Francisco or three nights in New Orleans in four-star hotels. All major prizes, arranged by Columbine Travel in Estes Park, include airfare from Denver and round-trip transportation to hotels. Area businesses also donate hundreds of prizes, from gift certificates to merchandise. About 95 percent of the sales of duck adoption forms flow directly to groups after the race. Rotary volunteers who organize and handle all the administrative, operational and financial aspects of the event make possible the high rate of return to charities. Corporate and individual sponsors pay for the major prizes. In its 26-year history, the Duck Race has raised $2.1 million for charity. This year’s race also features a partnership with The Stanley Hotel, which hosts the Stanley Film Festival the same weekend. “Zombie ducks” are being offered by the hotel, which is doubling the contribution of the first 250 adopters. “We are excited to welcome the “zombie ducks” this year, and to offer major travel prizes, along with hundreds of other prizes donated by Estes Park merchants,” said 2015 Duck Race Committee Chairman Ken “Big Duck” TeSelle. 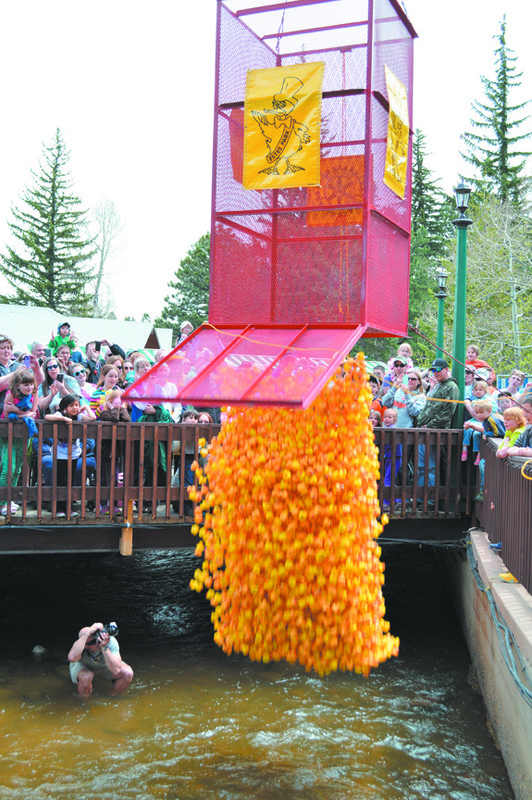 Visit http://www.epduckrace.org, http://www.facebook.com/EPDuckRace, any of 61 beneficiaries of any participating business in Estes Park to obtain a Duck Race adoption form. Duck adopters select the charity they want to receive their donation. Tags: Duck Race, Estes Park. Bookmark the permalink.